Jane Austen has met the zombie. So has Abraham Lincoln. 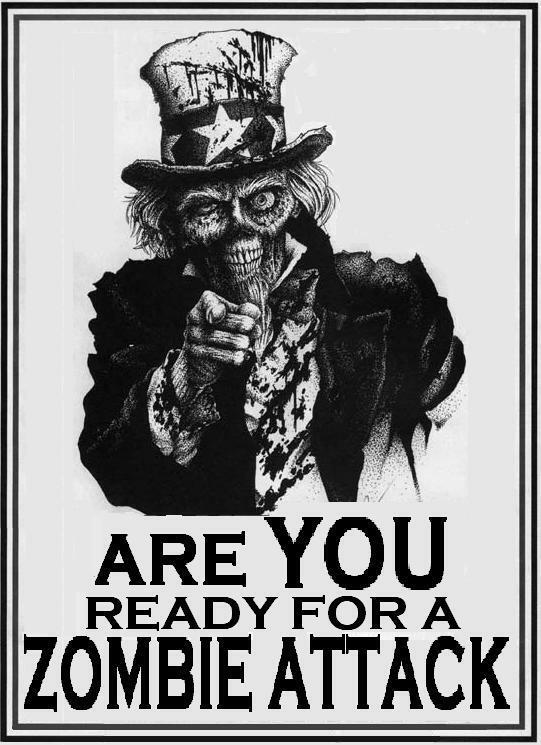 The Poetry & Popular Culture Office has been nearly, uh, dying to know what happens when zombies meet poetry as well. And so, when we discovered Ryan Mecum's two books, Zombie Haiku (2008) and Vampire Haiku (2009), we turned to haiku expert Ce Rosenow (pictured here), hoping to, well, pick her brain about what happens when the living dead (pictured below) turn to seventeen syllables for self-expression. Here, in the first installment of a two-part review of what we can only call Mecum's re-animated body of work, Rosenow fleshes out the hunger for poetry and horror that seems to run (where else?) in our blood. 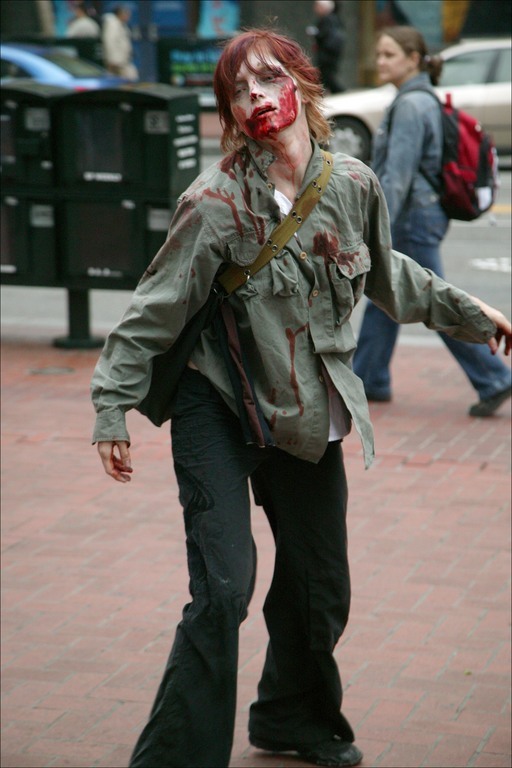 Zombie Haiku's blood-spattered pages and zombie photos will resonate with readers who are familiar with typical visual representations of zombies—the lurching gait, outstretched arms and vacant eyes are all present here. 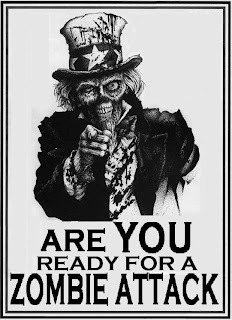 In addition to that nod toward iconic zombie imagery, Zombie Haiku also acknowledges the cinematic and literary genre of which it is part. Night of the Living Dead, for example, is present, if understated, in the farmhouse and cornfield sequences that show up in Mecum’s narrative. so I'll just stand here. 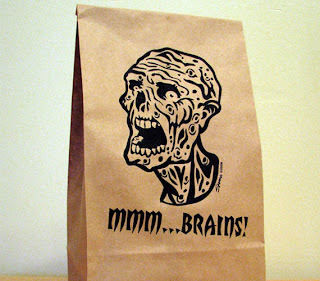 Regardless of the character’s poetic impulses when he was human, the zombie’s existence is all about brains: his own doesn’t work and he’s hungry for others, yet he writes haiku. ripping off that light switch. Now I’m down to six. Filling the pages of his journal with poems and drawings representing his experiences clearly takes dedication. After getting past this first obstacle, the reader confronts yet another: zombie haiku are not haiku. Just as a zombie is a shell of a human being without a soul, so the poems in this book replicate the syllabic structure of haiku but lack the content of haiku. Most haiku include some combination of the following: seasonal references, two images, internal comparisons, and a pivot line. 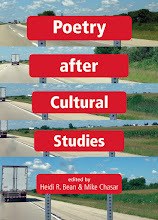 While traditional, avant-garde, horror, and science fiction haiku writers typically maintain some connection to the standard characteristics of haiku in their poems, Mecum does not. Additionally, the syllabic structure diligently adhered to by Mecum's zombie is usually not followed by the majority of English-language haiku poets nor by most contemporary Japanese haiku poets. 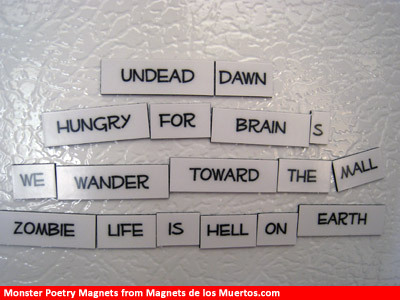 Haiku, however, are as trendy as zombies, and so the idea to bring the two together is not surprising. 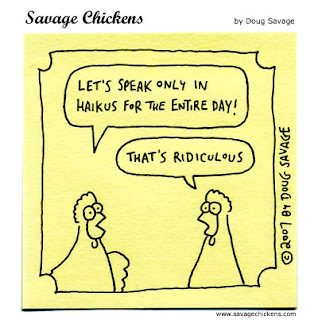 Haiku have, for the last three decades at least, been used repeatedly to address popular topics—sports, business, movies, teen angst—and to suggest a cutting edge approach to these topics. They typically ignore most characteristics of literary haiku and focus only on the 5-7-5 syllable count. Mecum’s haiku fit well into this new tradition but raise a question about this new approach in general: why choose haiku at all? In Mecum’s case, why not zombie limericks, zombie sonnets, an occasional zombie sestina? Why reanimate the haiku form yet again for something so far afield from the form’s actual purpose? 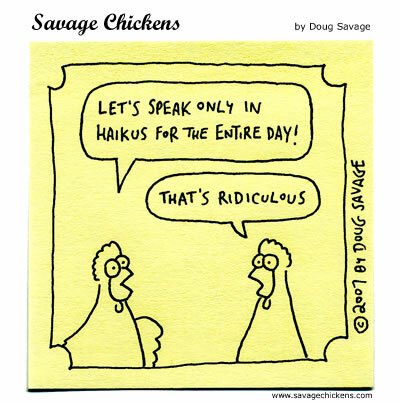 Perhaps the answer lies in the fact that haiku entered American literature as a way to make non-haiku poetry more innovative. In the early 20th century, poets such as Ezra Pound incorporated aspects of haiku into non-haiku poems. As modernists, these poets searched for ways to reinvigorate conventional poetry, and haiku became one means to that end. Contemporary, non-literary uses of haiku may not be intended to reinvigorate poetry, but they might be designed to “make new” the treatment of their various topics nonetheless. Another possibility is that haiku is still heavily identified with Japanese culture, so it always adds a sense of difference to its subject matter—often by suggesting the exotic and the foreign. When this approach merges with a lack of seriousness about the form, however, it risks replicating the imperialist point of view of certain American and British writers in the 19th century. W.G. 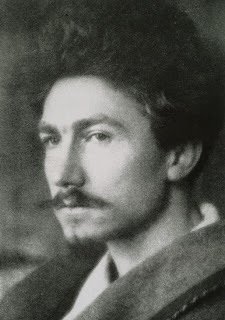 Aston, for example, felt that Japanese poetry had very little value as literature, and his opinion was informed by the perspective that Japan was not a fully developed culture and therefore could not have a fully developed literature. Finally, if seventeen syllables is all it takes to make a haiku, another possible answer might be that the form is simply an amusing, undemanding way to write. It also matches the ever-decreasing attention span of many readers and accommodates a wide range of topics. 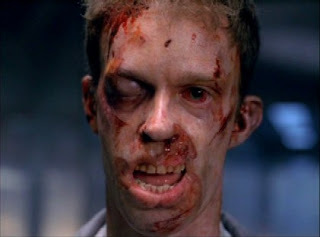 Each zombie eventually ends up with his own victim but not through any form of teamwork, and, afterwards, each zombie continues on his own individual quest for more food. Ultimately, Zombie Haiku is an innovative book that will appeal to anyone interested in all things zombie. 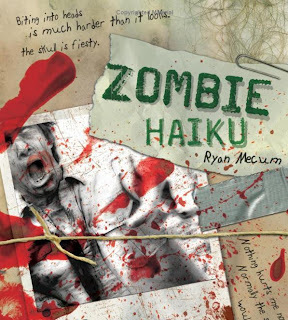 As a graphic novel in which short poems propel the narrative, it is also a unique addition to zombie fiction and to the ever-expanding number of popular uses for haiku. Coming Soon: Part II of the "The Book of the Undead" when Rosenow sinks her teeth into the world of Mecum's Vampire Haiku. 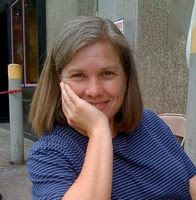 If you have a moment in the meantime, check out Rosenow's Mountains and Rivers Press located in Eugene, Oregon.